Cool! 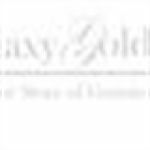 Save an average of 20% on GALAXY GOLD with 5 Coupon Codes, and 2 Deals! Galaxy Gold offers a wide variety of exquisite jewelries at affordable prices. Find amazing jewelry designs which are perfect for all occasions. Visit the online store and choose from an array of fabulous jewelries such as bracelets, earrings, necklaces and rings. Details: 20% off on total purchase. Not good with any other offer. Expires on 12/31/2014. Details: 20% Off all Jewelry Pieces During Whole Holiday Season. Expires on 11/30/2013. Details: 15% off on all sapphire jewelry for the month of September, the Sapphire Gemstone month. Details: Memorial Day Sale: 25% OFF on entire stock!